The same level of intensity is planned for 2018, Head Commander Nikolay Yevmenov says. There were conducted about 4,700 exercises, the Navy Commander says in his sum-up of 2017. More than half of them included combat training with the use of weapons, he elaborates. The statements come as the Russian Armed Forces is entering a new training year on 1 December. According to Yevmenov, a total of 68 surface vessels and submarines were involved in a total of 669 training operations at sea. A total of 213 of the operations included shooting of missiles, a press release informs. Meanwhile, the Northern Fleet’s air and air defense units in the course of the year engaged in 2,700 firing exercises, including 144 cases of air gun fire and 51 launches of air missiles. Depending on the units, the level of combat readiness was increased by 10 to 70 percent compared with 2016, the Northern Fleet says. According to Nikolay Yevmenov, the intensity of exercises will be «on a comparable level» in 2018. All the Northern Fleet’s units and branches have been carefully inspected and made prepared for winter action. Special emphasis is made on a new army corps which includes motorized infantry units and the so-called Arctic Brigade. This new corps was established in 2017, the Northern Fleet press service informs. The Navy has over several years been a key priority for Russian Armed Forces. 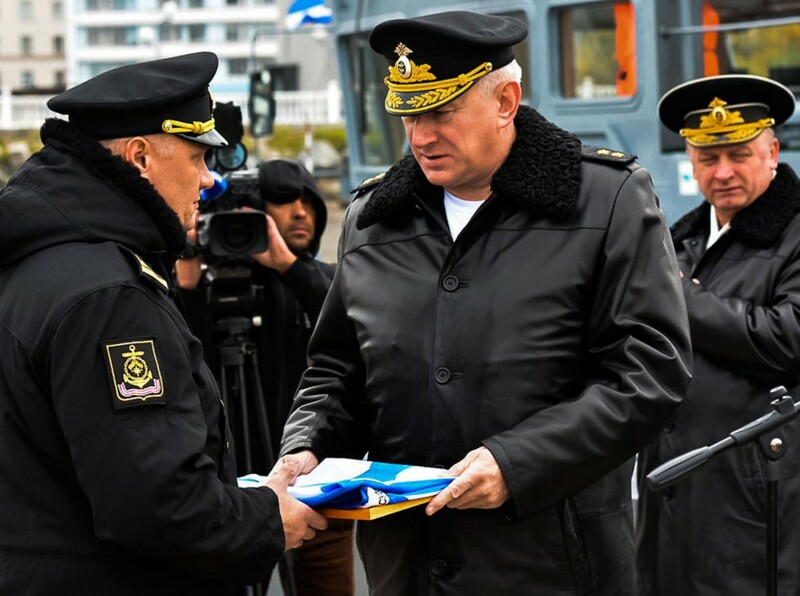 In a recent interview with military newspaper Krasnaya Zvezda Navy Commander in Chief Admiral Vladimir Korolyov said that vessels from Russia’s Northern Fleet now are sailing like never before in Post- Soviet times. “Speaking about the navy’s surface vessels, I can tell the following. In 2013, it was 5,900 days [of sailings]. In 2014, already 12,700, in 2015 – 14,200, in 2016 – 15,600, and in 2017 - 17,100 days,” the Admiral said. In other words, Russia’s surface warships have been sailing nearly three times more this year than they did five years ago. The Northern Fleet is the most powerful of Russia’s Navy capacities and was in 2014 established as a separate 5th Russian military district. It includes about two-thirds of all the Russian Navy’s nuclear-powered ships. There are seven key bases in the Kola Peninsula with fleet headquarters of Severomorsk as the most powerful. In addition comes a big number bases and facilities along the Russian Arctic coast, among them the new units based in Franz Josef Land, New Siberian Islands, Wrangel Island and several more places.